Neutrogena Rapid Wrinkle Repair is an anti wrinkle range developed by Neutrogena, an American skin care manufactore headquartered in Los Angeles, California. Neutrogena is a subsidiary of Johnson and Johnson Company. Neautrogena Rapid Wrinkle contains a Retinol, Glucose Complex and Hyaluronic Acid. Neautrogena claims the wrinkle product will not only fade the look of deep wrinkles, but it will also help brighten the skin’s tone and smooth lines and texture. The range includes four products which can either be purchased in a kit or individually: Rapid Wrinkle Repair Moisturizer Broad Spectrum SPF 30, Rapid Wrinkle Repair Moisturizer Night, Rapid Wrinkle Repair Eye Cream and Rapid Wrinkle Repair Serum. Individualy, the moisturizer, cream, serum and eye product are around $20 each but they can be purchased in a kit for around $30. Neutrogena Rapid Wrinkle Repair can be purchased from Ultra, QVC. Walgreens, Target, CVS, Walmart, Sams Club, Amazon and Soap.com. In fact, Neutrogena anti wrinkle skin care products can be found in almost any town in America. The products are not available for purchase on the Neutrogena website, however, Amazon offers the entire range online. 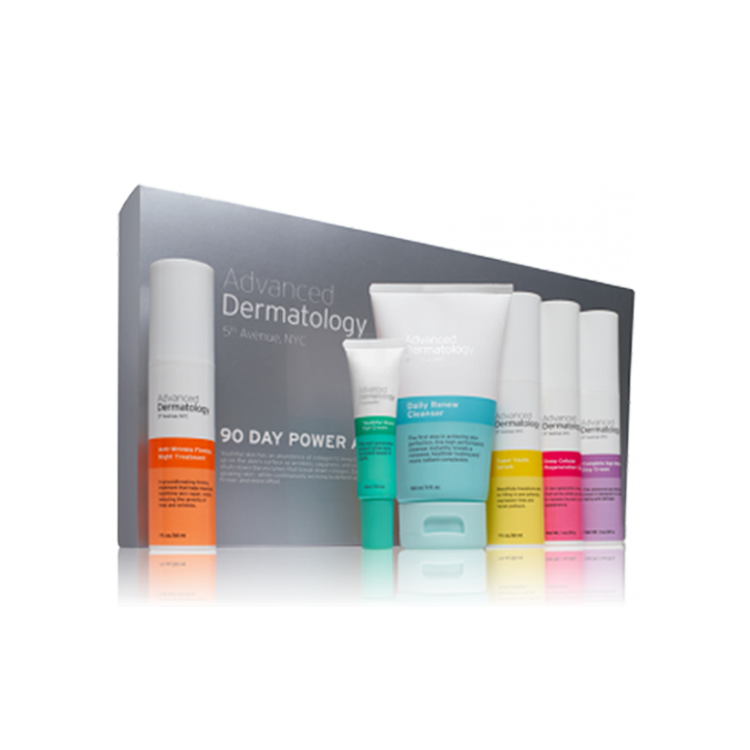 Neutrogena also manufactures other anti aging products, including Ageless Intensives, Healthy Defense and Rapid Tone Repair. However, for the purposes of this review, we have limited our analysis to Neutrogena Rapid Wrinkle Repair because we believe it is their most powerful range. Moreover, the primary ingredient in Rapid Wrinkle Repair is retinol, retinol products have long proven to make a dramatic difference on the appearance of rough skin, fine lines, uneven skin texture and wrinkles. Please note that when using any retinol product, it is advisable to wear sunscreen as retinol can photosensitize the skin and cause hyperpigmentation. Neutrogena Rapid Wrinkle Repair has been featured in Best of Beauty 2012 and is well ranked on a variety of beauty sites. 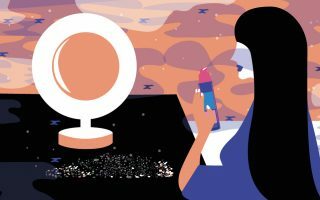 Neutrogena has 1.3 million likes on Facebook and a stellar reputation. Neutrogena Rapid Wrinkle Repair Serum is the most powerful product in the range. The serum should be used before moisturizing and we recommend you start off using this product every second day until you build a tolerance. You might notice you skin peel slightly on the second or third day. Retinol creams can cause the skin to get irritated and look like you have spent a few hours in the sun. This product will leave your skin leaving soft, smooth and clearer. We recommend using this product at night as opposed to the day. The Rapid Rapid Wrinkle Repair Moisturizer contains a lighter dosage of retinol which is more suitable during the day. More importantly though, it has SPF 30 to protect the skin from the sun damage. This moisturiser is suitable for combination or oily skin but might not be best for dry skin conditions. Hyaluronic Acid will help heal and fill the skin and protect it from the wind and pollution. 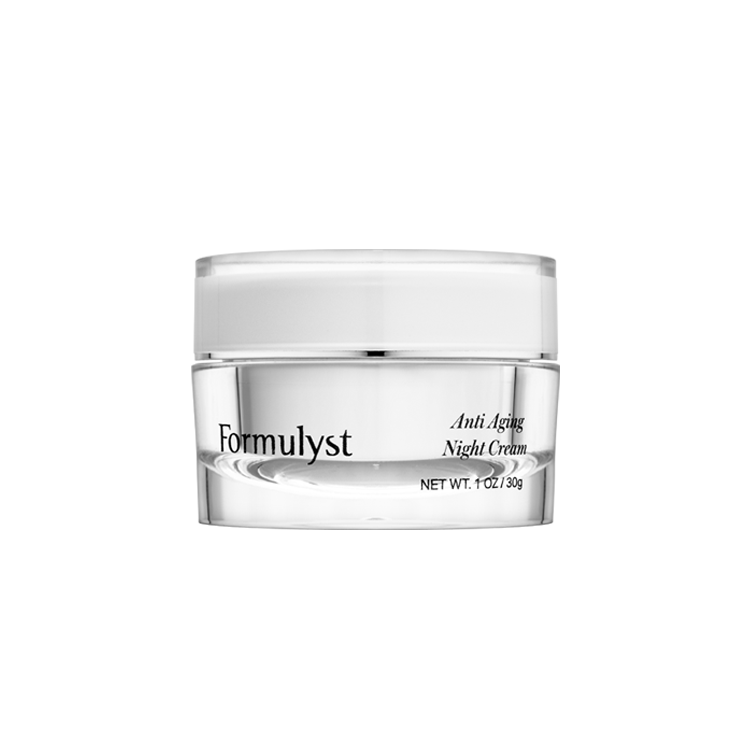 As powerful as the serum, the night cream contains a very high concentration of retinol to repair the skin while you sleep. You will notice slightly less pronounced fine lines and wrinkles within a week of usage. However, you need to keep using this product to maintain results of they will disappear into thin air. If you have not used a retinol cream before, you will be suprised by the changes and your friends and family will notice. The Rapid Wrinkle Repair Eye Cream helps fade the look of crows feet, dark circles and fine lines around the eyes. It is gentle but if you have hypersensitive skin we recommend avoiding this product. Please feel free to share your Neutrogena Rapid Wrinkle Repair below. I don’t understand??? It actually have me dry eyes and worsen my fine lines. Ever since using it my eyes looks like I’ve aged 10 times more, I look like crack lines underneath my eyes. I read a few reviews like this. I should’ve believe them! I started using these products two years ago,I love this product. I’m 57 and am always told I look to young to be that age. All these comments that are posted are pretty normal when beginning to use this product. When I started using the serum I had some very dark sun spots on my cheek. Since this is the highest concentration of Retinol without a prescription you must use as directed and no more. A little goes a very long way. When skin starts to get irritated stop for a day or two and then resume. My dark sun spots are almost gone! My skin is smooth and dramatically reduced the fine lines on my forehead and around my eyes. Maybe try it again and use less of the product every other day to get your skin used to it. Your face will flake and peel a bit because that’s what’s it’s supposed to do. Like a mini skin resurfacing. Apply Vaseline around the eyes when you use Neutrogena Rapid Wrinkle Repair at night. During the day, use a different daily moisturizer then apply sunblock; SPF 55+ through a SPF 100+ range ( with zinc oxide). Life Extension sells an oral herb product that helps block the suns UV rays. I never tried it but it may be one option for anyone who is sensitive to sunscreens. Do this for a few days. If no improvements, then discontinue and contact Neutrogena. That sounds fine. Their are herbs that naturally block the sun’s rays. It shouldn’t interfere with your night cream serum. I do have the best luck using a zinc oxide sunscreen with a 55+ or higher SPF. Their are herbs you can take orally to help block UV rays too (Life Extension carries some formulas). Blocking the suns rays is a priority while you take any form of Retinol or Retin A. The manufacturer may not mention this but you have to be aware of the risks. Hi Mike, I had a bad reaction to a product called Phisoderm as a teen. My chicken blew up like a balloon. I suggest you try what I did. Wash gently with a little bit of mild soap (Ivory) and Noxzema. The menthol in the Noxzema will cool your face. Then apply Vaseline all over your face. I believe it took my face nearly 3 days to get back to normal. Since then, I use new products on a small test spot on my face or body. If it looks good after a few days then I apply as suggested. I just started to use Neutrogena Rapid Wrinkle Repair nightly on my face a week ago. I have sensitive skin issues too so I am aware of this possibility. I dab on some vaseline around my eye tissue to aid moisture. During the day, I use a different moisturizer along with a high SPF 100+ sunblock (make sure zinc oxide is in it). I aim for a 30+ SPF but you got to aim for 45+ or higher while you take any form of Retin A which includes Retinol. The sun’s rays have changed since I was a kid. I tend to burn more easy so sunblock is a must!! I also avoid standing in direct sunlight for long periods. The sun will make that Retinol burn your skin. I’ve used prescription based Retin A on and off since the early 90’s. It works wonders but you have to avoid direct sun exposure if possible. Very disappointed in this product. I did get a mild tingling after applying it, but after a month of use, the skin beneath my eyes looks like crepe paper. It looks like I’ve aged 10 years. Had to go back to my L’Oreal Revitalift to fix it. Expensive product but for me it was a waste of money. Just want you to know that I too had a terrible reaction to this product – red, tingling, sore face and puffed up eyes – only used product twice. I read thru these reviews and was shocked to see that so many others had the same reaction. The one recommendation for recovery was to put Vaseline all over your face at night – it works – and my face is looking almost normal again. Altho I do use Neutrogena’s cleansing products, I will never use this particular product ever again. I used your Neutrogena Rapid Wrinkle Repair for only 2 nites. I have sensitive skin. Day 1 – my face was burning and tingling. Day 2 – my face was burning and tingling, and eye area all swollen and puffy. I’ve stopped using this product for last 2 nites. Today the burning and tingling persist and area around eyes is even more swollen than ever. Cannot go to work like this. Have always been happy with Neutrogena products but this one is definitely not for me, nor anyone else I believe, with sensitive skin. You are correct, exact same issue, under eyes got red and swollen and woke up with deep creaveses that were never there before! I stoped using it of course and plastered my face in polysporin for the burn and slowly face coming back! Never again! the same thing happened to me! it has been one week and my skin is finally starting to come back and peel like i had sunburn. using Aveeno calming foam wash/Cetaphyl cleanser, and Aveeno calming face lotion. it burns a little bit has been helping to keep my skin moisturized. I tried this product for the first time and experienced the same reaction. My face is very puffy and under my eyes are puffy, red and very sensitive to the touch. I just want to say the same thing happened to me. It’s terrible. I’m not sure how long it will take to go down, but I hope it goes away soon. It’s not as bad in the daytime as when I first wake up in the morning. I definitely have a huge wrinkle under both eyes that I did not have before, and my eyes are so puffy in the morning. Do you know how long it took to go away? Did it look improved afterward? Thanks for any input. I use the Rapid Repair Serum and the Rapid Repair Moisturizer with suncreen. I powered through. My skin was red in areas and definitely flaky, but I know having worked in a dermatologist office, that this is very normal. You will be so happy with the results if you stick with it. This is exactly what the product is supposed to do. You have to get rid of the old skin and get down to the new skin underneath. Power through and I believe you will be glad you did. I sure am! It has been a tremendous improvement for me! I have been use it the retinol sa with spf for years. This last tube I bought made my face so swollen my eyes are almost swollen shut and it’s red dry and burning!! Did they change the formula or is this maybe the end part of a batch that is super strong? Has anyone else have this issue, what did you do to reduce the swelling. My whole face is a balloon!! I started using Neutrogena Rapid Wrinkle Repair regenerating cream a week ago, and 3 days ago, under my eyes, the skin got all red and sensitive, and the normally light wrinkles appeared to look like very deep caverns, and I look like a heroin addict! Wish I could submit a pic. Luckily lots of people have allergies right now, so I have been blaming it on that. I had to meet with potential clients at work. How embarrassing! I am hoping this goes away in a few days, because I can’t keep using allergies as an excuse.It works fine for the rest of my face, but I will be keeping it away from my eyes, which is where I needed it to work the most. I’m hoping it’s fine to do so but I found that because my skin was really red and sore, I smothered my face in Vaseline and that was the only thing that has eased the redness/soreness. I really want to try again with the night cream but I will keep the cream then Vaseline procedure up as it was far too painful to leave without any moisture. Hope this helps anyone else – and hopefully it won’t stop the night cream from working! I’ve been using the serum in the morning for about 3 weeks now and started using the night moisturizer a week after…my skin got red and had a slight sunburn feel to it the first 2 weeks but I powered thru and in the third week I have found no side effects. My skin looks really good and fresh and my lines are getting finer!!! I started mixing a little of the night cream in with the serum for extra moisture in the morning but I just read it’s better to use the serum at night. Should I keep doing what I’m doing or only use the serum at night? Love this product!!! I had used the HydroBoost prior to the wrinkle cream and loved it also!!! I am using the Neutrogena Rapid Wrinkle Repair Moisturizer, SPF 30 for the first time and I have been using it for about a week. I am experiencing dry flaky skin, Is this normal?? GREAT QUESTION! I too am a BC survivor 13 years this June. I’m no Dr., but see no soy in the product which is a natural form of estrogen. STAY AWAY FROM IT(soy that is) . Also excited to try the product. We as estrogen + that have had to remove all traces of estrogen i.e., medicine, macectomy & or hysterectomy, do have issues with wrinkles earlier than most. So SUNSCREEN us your friend! Best wishes! ? Hi, it would be a favour if someone can help me with a suggestion. Is it fine to use Neutrogena night moisturizer at night and a herbal product as a day cream with 90 spf in order to avoid any sideffects of retinol, as I am using it for the first time. I’m 28.I’ve been using the neutrogena deep wrinkle serum for about a week now only at night time with my other serums and oils.I have very sensitive skin but surprisingly it didnt irritate my skin at all!!! This product glides on smoothly onto my skin and is not oily or sticky.Many people complain about the smell but it doesnt bother me it smells ok to me! I just purchased the rapid wrinkle repair night moisturizer. I have combination dry/oily skin and it can be sensitive too. I’ve never used a face product that caused more than a burning/tingling sensation and now I’m terrified to try it. Wal-Mart has a good return policy, so if I have an apparent allergic reaction they should allow at least in store credit. However, even with recovering my $18 in mind, I fear my face will be burned and new wrinkles will appear. This review has made me apprehensive, but on many other sites I didn’t read anything so negative and those were “verified buyers.” Eeek… I don’t know what to do!! I have been using both Neutrogena rapid wrinkle repair day and night cream for about a month and a half now. it is one of the most terrible products I have ever used. I have discontinued use and reported the terrible side effects to Neutrogena. It has it made my skin extremely sensitive, red, and sore to the touch. Within the past week my skin has been peeling and flaking terribly. I feel like any fine lines or wrinkles I have are amplified by the dry skin. My under eye area is so red that my concealer won’t even cover it up. I tried using every other day, but that didn’t do any good for me. I can now barely wash my face wothout emme se sensitivity. I have always loved Neutrogena products, but I am very disapointed in this one. They need to seriously consider putting stronger warning labels for possible side affects in the packaging. I have been using both the daytime and nighttime moisturizers for almost a week. A few days after using the produce, my face burned when I applied it, but it did subside. I’ve also started having some flaking. Both these symptoms are normal according to the package. Yesterday I did notice some redness under my eyes and this morning I had both puffiness and more noticeable wrinkles under my eyes. I plan to look up more information about the effects of retinol, but plan to use either just the daytime or nighttime moisturizer each day to see if my skin tolerates it better. While I didn’t spend a fortune on these products, I hate to give up on them so soon. Have you seen any information about the difference between neutrogena healthy skin anti-wrinkle cream and rapid wrinkle repair serum? Surprisingly I have not and maybe healthy skin anti-wrinkle is less intensive and would be what you need. We may never know I guess. Maybe neutrogena healthy skin anti-wrinkle cream is less intensive but I’m not certain. I am surprised that no one anywhere seems to be discussing the difference between neutrogena healthy skin anti-wrinkle cream and rapid wrinkle repair serum. Glad I found these reviews. I’m a retinol virgin and after a few days of day and night use, my skin is sore and the skin around my eyes hurt. Any product like a gentle mi cellar water caused the skin around my eyes to burn. I know now it’s the retinol. I’m not used to it. Im going to switch to using just the night cream every second day to let my skin calm down a bit. I have started noticing my skin is looking better tho. I don’t normally have sensitive skin. I should mention that I’m using another Retinol product (Vichy). I wanted to post so others who are experiencing the burning eyes are not alone. This is the retinol. If you are sensitive use every other day and preferably at night. Damp skin can also cause irritation with retinol. I’ve had the same intense burning, red skin under the eyes after only two days of use. Am disappointed no comments or responses from Neutragena re suggestions of what to do. Surely they could recommend something to reduce the burning! i was diagnosed with breast cancer 6 months ago. I have had surgery, radiation and now taking an estrogen blocker for the next 5 years. I have been using all the rapid repair products but now I am wondering if these products have estrogen in them. I can not put estrogen in my system. Can Neutrogena or anyone knowledgable answer my question???? I am not suffering from any burning or negative side effects of the retinol and have been using product for 6 months. What made your skin around the eyes normal again? I am having this same problem. I’ve used Neutrogena Rapid Wrinkle Repair for years and, believe me, at 52, I’ve tried a lot of different products, and have never gotten the incredible results that I have with this product! If you haven’t used high retinol products before, you need to start out slow! Also, how you cleanse your skin before applying has a lot to do with it! If you have a tendency to cleanse ur face with anything abrasive, your skin is going to be sensitive to retinol! This product has made my wrinkles fade and improved my skin tone! The only times I’ve had problems with my skin getting irritated was when I 1st started using it, and I noticed the irritation was centered around places I washed with a little harder. So, cleanse ur skin lightly, try using every other day till your skin gets accustomed, then enjoy the benefits this product provides! I bought the Neutrogena Rapid Wrinkle REpair SPF30 product after reading an ad in HomeStyle magazine. I have, for most of my life, used sunscreen and try to apply it whenever I am out in the sun. I have some wrinkles at 58 years old, but told that I look in my early 40’s. However, the new wrinkles one on the bridge of my nose and some on my chin and light crows feet bother me. After one week of using the product once a day as instructed, my skin began peeling and I had some red, irritated spots on my face. I think that my skin is sensitive to the retinol so I will do as someone else suggested on this site and try applying every two days until my skin adapts to the range. Has anyone continued the use of the product after the skin becoming irritated, obtaining better results by reducing the applications to every other day? I started to use Neutrogena’s acne kit but it dried out my skin. It takes a lot to do that because I have VERY oily skin. I switched to the Citrus Clear Sensitive line of products – and it made my skin smooth and look very good, without drying it out. Plus the Citrus Clear products smell sooooooo much better. . .
Only just now seeing the replies. I stopped using the product. Sounds like it works for some of us but not all of us. I’m 63 and while I’ve always taken care of my skin, I started using the Neutrogena Rapid Skin repair about a year ago. I use the serum, the night skin repair and use the day skin repair which has an SPF of 30. It works great. I am confused for looking like I’m in my mid-40’s instead of my mid-60’s. I haven’t had any problems with my skin feeling burnt or peeling either. I do buy the products online cheaper than at retail outlets though. Hi Joy, I haven’t had any wrinkles just orange peel like inflammation. I have been using the day and night moisturizer for years, I started using the serum on Sunday night under my moisturizer and by Wednesday morning my skin looks and feels like an orange peel my cheeks are so inflamed and I’m breaking out like crazy. I’m so depressed Thanksgiving is next week and I have never had any need to wear makeup or bad skin of any form. I don’t know what to do. I will discontinue the serum but I don’t know what to do about my skin. Is it reversible. I have no clue. help me to schedule the use of the serum and the moisturizer and eye cream during the day. I mean what time?what about my sun screen or the foundation?who is first and who is last? Sherry, I have had the same experience of burning and chaffing, especially around my eyes. Feels like a sunburn. There are a few others on this blog above who are also having problems. My mom loves this product, but I’m obviously allergic to some ingredient. I don’t have sensitive skin so I’m wondering what the ingredient is that seems to be causing burning ? Have you found out? thank you. Diane, I had the same issue of burning and chaffing around my eyes! Felt like a sunburn. Did you find out what ingredient you are allergic to? My mom and her best friend love this product. I was hoping I would too! Any info would be helpful. Thank you! Can you use rapid wrinkle night cream,neutrogena on sensitive skin also the eye cream, rapid wrinkle cream, eyes and gentle cleanser, seep moisture day cream. Is there any problem with sensitive skin? If there is a problem, what do I use? I just started using the neutrogena rapid repair wrinkle cream with spf. Its been a week and while i have noticed a difference in the texture of my skin this cream gave me three huge hard bumbs on my chin. I stopped with the creamo get rid of the bumps with my sulphur oitment now im back with the neutrogena cream. Hope it fades the dark spots its responsible for because of the 3 painful bumps it left on my chin. But this cream has improved the texture and feel of my skin and smoothed out d redness on my cheeks. I used a tiny bit of Neutrogena Rapid Wrinkle Repair Eye Cream around my eye area for 2 days. A tiny spec massaged into my upper lids, sides of eyes, and under eyes. I don’t even have wrinkles, but I’ve been using anti aging products since age 18 for prevention. (I’m 34). After the second night of using this I woke up with both eyes swollen almost shut. I also had 2 different kinds of pain (1. dull soreness and 2. extreme burning). I also saw 3 lines on the sides of each eye I never had before. This product actually caused wrinkles. This is day 4, and the swelling is almost gone but replaced by a darker redness, more extreme dryness and constant itching and burning. The lines/wrinkles are still there, and I even see a couple more under my eyes now also where I have never had lines before. I read online that when you use the over the counter Retinol products around the eyes the skin can look more wrinkled and dry before it looks tighter. But I’ve been using prescription Retin-A (Tretinoin) 0.1% for years with no problems. I didn’t have wrinkling, swelling, or pain at first with that. Just dryness and flaking until my skin gt used to it. I think Neutrogena and most those pharmacy brands are no good. I won’t be buying this or any Neutrogena products again. I’ve been using the wrinkle repair cream for exactly a week. I have to say it does make a difference and in a good way. Lines are reduced and skin looks fresh. This is the only product that has truly made a difference and I have bought way more expensive creams in the face Lancôme Clinique etc. Give it a try and if you have sensitive skin use it every other day give your skin time to adjust to the retinol. I have as well! Used this 2 times and have had a horrible reaction. My face is very red, it is peeling horribly and is very sore. It is way worse than a sunburn. My skin feels very tight and the red patches are very rough. Did yours get back to normal? I’m debating calling the doctor on Monday, it is that bad! I TRIED NEUTROGENA RAPID WRINKLE REPAIR FOR THREE DAYS AND THE THIRD DAY MY EYE AREA AND AROUND MY CHECK STARTED TO ITCH THEM BURN, BY THE EVENING MY FACE LOOKED LIKE IT WAS SUNBURN. I HATE THIS PRODUCT I HOPE MY FACE HEALS SOON OR I WILL NEED TO GO TO THE DERMATOLOGIST!!! That reaction is fairly typical for any product that has retinol in it. 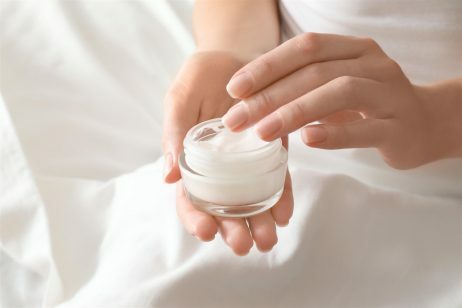 What’s normally recommended in those situations is to use the cream every second or third night until you build up to the point where you can use it daily. It’s promotes cell turnover and works by reducing collagen breakdown from sun exposure and stimulating the production of more. Am I the only one who has used this product whose skin had an awful reaction a week into using the product. I stopped using this as of Tuesday night Feb 11 because I woke up on the 12th with what looks and feels like a chemical burn. I have fair skin and was using very little of it – dabbing it on 2 small areas of concern wrinkle wide. 4 days later and the right side of my face looks like I’ve been sunburned. I have been researching this now to see if in a few days, my face will just go back to the way it was before using it. If not better by Tuesday (which will be a weeks since I last used it) going to have to go have it checked out medically. Hopefully it will be okay and I haven’t done permanent damage. I’m so surprised that no one else has had any problem that I can find on-line. I too felt that seeing good results after 7 days was ,as they say, too good to be true! Then as I continued to use the product, woke up one morning with what appeared to be a case of extreme allergic reaction: looks like a chemical burn surrounding both eyes and peeling skin as well as scattered bumps and hives. The delicate skin under my eyes is like an orange peel and I am praying that this will reverse itself! Never dreamed that something that was to be so good could be so very bad. Will this go away or have I caused permanent damage? I live Rapid Wrinkle Repair. I use it daily and have seen a major difference in my sh\kin’s appearance. I put it on my husband’s face every other day because his skin as a bit sensitive, but after a month even he has noticed a change in his skin. HI! I just started trying this and it looks like I have MORE wrinkles under my eyes as well….what’s the deal…will it get better over time? I used the Rapid Wrinkle Repair night and day cream for 4 days and my face is burning and red. The skin around my eyes looks burned and seems to have more wrinkles. I have stopped using it and hope my face returns to normal. Bad product with no warning. I have read a lot about Rapid Wrinkle Repair and wanted to give it a try. I have had prescription retinol A in the past which help with dark spots due to birth control pills and sun exposure and had wonderful results. After six days of using the Rapid Wrinkle Repair, the seventh day I have red blotchy spots, burning sensation and flaking. According the to directions, I am going to hold off for a couple of days and then start again alternating days to see if my skin can tolerate. So far, I am not sure about the product. Someone gave me the Neutrogena Rapid Wrinkle Repair moisturizer with sunscreen. The directions say to apply liberally 15 minutes before sun exposure but does not really mention wrinkles. Is the same product as mentioned above? Omg!!! Really a miracle cream/ serum. This is a must buy product….I never leave reviews, but this was worth my time. I bought my product as a two pack at sams club. I’ve used it for a week and I’ve notice less fine lines 🙂 🙂 I was very sensitive about fine lines only being 38yrs. I’m very pleased…and I definitely recommend this product 🙂 I’ve bought lacome, clinque and Avon and a new in the past!! I’m happy…a miracle! I have read lots of great reviews about Neutrogena Rapid Wrinkle Repair Moisturizer. I have used other Neutrogena products in the past but was not that happy with the range. Hopefully this product is an improvement. I have used other retinol based products that cost more and like the result but would like to buy a product that is more affordable. If I get the opportunity I will write a review once I have tried this product. Hi, After reading such good reviews I have purchased the entire Neutrogena Rapid Wrinkle Repair range but can anyone tell me if I use the serum under the night moisturiser or are you just supposed to use the serum or the night cream? Most retinol creams I have used before come with a warning not to use 2 retinol products at the same time but Neutrogena doesn’t advise this anywhere? I suffer from sensitive skin and my dermatologist recommended Neutrogena Rapid Wrinkle Repair. Not sure what he was thinking because the next morning I woke up with irritation. This product is definitely nor for me. I keep reading good reviews about Neutrogena Rapid Wrinkle Repair so I decided to try the range. I was surprised to find it in Target and it was inexpensive compared to what I have been using. I found it to be quite drying and didn’t really enjoy the smell of the products. I am concerned with fine line and wrinkles and am used to a stronger retinol products that causes my skin to peel. This did nothing but dry me out. Spot on with this write-up, I truly believe this site needs far more attention. I’ll probably be returning to read more, thanks for the information! I tried so many expensive products like La Mer, SK-II and Lancome but none of them are as good as Neutrogena Rapid Wrinkle Repair. I have very dull, blotchy skin and when I use this my color looks so much better. It works by peeling the skin and bring out the lower layers of the skin. So you are getting rid of all the damage and bringing out a healthy layer of skin. This product really work. No need to pay hundreds of dollars for skin care when Neutrogena Rapid Wrinkle Repair does the job for a fraction of the price! I use it every single night and i wake up with nice looking skin. Its a great product for the price and you can buy it from Walgreens and send in the cash redemption code they are currently promoting online. Most of my aging was caused by prescription drugs related to depression that caused me to age very rapidly. I found Neutrogena Rapid Wrinkle Repair caused my skin to be dry and sensitive. I have facial hair and need to wax my face and apparently retinol does not work on areas that have been waxed. I should have done a text on my arm before applying the product to my face as I feel flustered now. I am 48 and have severe wrinkling on the face due to prolonged sun exposure and smoking. The regret of my life. My friends were putting on sunscreen anytime they went into the sun. The worst part is I have lots of brown spots and I even had IPL but it made them worse. Worst $700 I ever spent. I am affraid to have other laser treatments now. I would like to try Neutrogena Rapid Wrinkle Repair Day and Night Cream after reading this review. I rarely write reviews on skin care products or anything for that matter but I noticed this page about Neutrogena Rapid Wrinkle Repair Cream and I couldn’t agree with more. Recently I noticed my skin has some wrinkles on my forehead and lips and I started to use this product to target wrinkles and it worked. I use it twice per day now. I have been using Neutrogena Rapid Wrinkle Repair for a few years now and find the results to be remarkable. I think it has retinol inside so if you use it with sunblock you will see a big difference after a few months of usage. You need to use a high sunblock and never ever lay on the beach without an umbrella and always wear sunblock. I bought Neutrogena Rapid Wrinkle Repair from Target and I started using this product around two weeks ago and I am so far satisfied that my wrinkles have slightly reduced. I am not sure if I am dreaming but when I look in the mirror my wrinkles look much smaller. I noticed Neutrogena Rapid Wrinkle Repair has a 30 day refund guarantee and you can call the hotline to get your money back. I have a sampler pack of the different Neutrogena products and inside was Neutrogena Rapid Wrinkle Repair. I found it caused my skin to become dry and aggitated and I did not like the feeling at all. I do not recommend Neutrogena Rapid Wrinkle Repair and avoid it if you have sensitive skin like me. I love Neutrogena Rapid Wrinkle Repair! I noticed results within a week of using. This is a very good cream to smooth wrinkles. It is a miracle cream. The price is very reasonable. fine lines and the saggy lines have almost disappeared. Thank you Neutrogena. How long have you been using Neutrogena Rapid Wrinkle Repair and how long before you started using Neutrogena did you noticed changes to your skin? Is it your favorite skin care product? I apply Neutrogena Rapid Wrinkle Repair twice per day. Once in the morning after cleansing as a moisturizer and again at night. I love the changes in my skin. I have used other Neutrogena products and this one is better. I have fairly sensitive skin and I only started using Neutrogena after reading reviews about how it is suitable for sensitive skin types. I noticed a difference in my skin after just one week. Neutrogena Rapid Wrinkle Repair is definitely my favorite product in the range. I am using Neutrogena Rapid Wrinkle Repair and I noticed my skin looks way better. I think it is the retinol that smooths the wrinkles out. It does cause my face to peel gently but that is fine because my skin washes off the shower. I think it works like a face peel. You can buy Neutrogena products from Walmart in the skin care section.